View topic - [Hacks competition 2019] Mario Kidd in Retro World by Jano - Forums - SMS Power! Mario wants to be a SEGA pet. 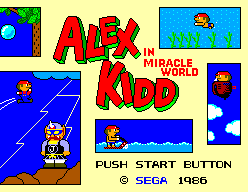 For this reason, he must starring a video game in one of his most mythical SEGA´s consoles: Master system. 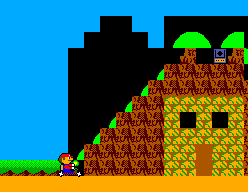 MARIO KIDD IN RETRO WORLD is an adventure full of references to retro video games. recognizable stages, music and enemies of the golden age of video games. And those final bosses are not other than the eternal pets of SEGA. whom Mario wants to emulate. 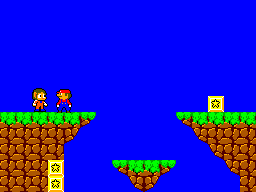 Meanwhile the great SEGA´S forgotten : Alex Kidd, He watches from the Olympus of eternal pets. It's a funny idea, and I like what I've seen so far, but right now it's a bit too glitchy. Keep up the good work, though. The game shows plenty of promise. They are not failures. It is like that. but I think it's better to eliminate those blocks and make it normal. Thank you. Much work remains. I hope to perfect it. Good idea,but lot of work still to be done. Keep working on that!